Lloyd Blankfein testifies before Congress in 2009. Lloyd Blankfein, the CEO of Goldman Sachs Group Inc., saw his 2010 compensation rise to $14.1 million from just over $1 million in 2009, according to an Associated Press analysis of data filed with regulators on Friday. 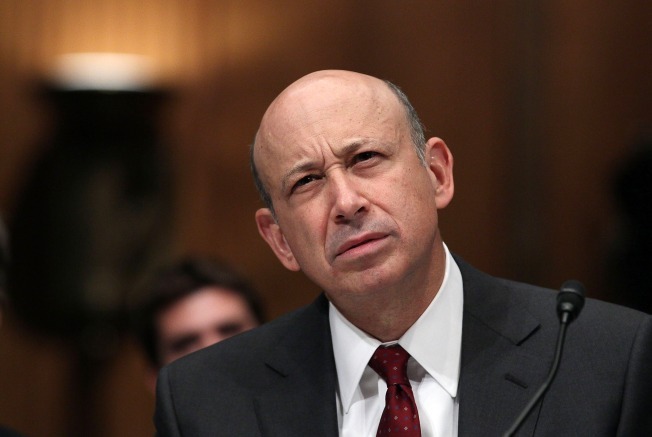 Blankfein received a salary of $600,000, a cash bonus of $5.4 million and stock awards of $7.65 million for the year. He also received perks worth $464,067, including use of a car, medical and dental coverage, life insurance and retirement contributions. Though his salary is among the top-tier for U.S. executives, it is a fraction of what it was just a few years ago. The New York bank's reputation took a beating during the financial crisis and it was sharply criticized for its high compensation levels after it accepted a $10 billion government bailout in 2008. The Associated Press counts salary, bonuses, perks, stock and options awarded to the executive during the year.